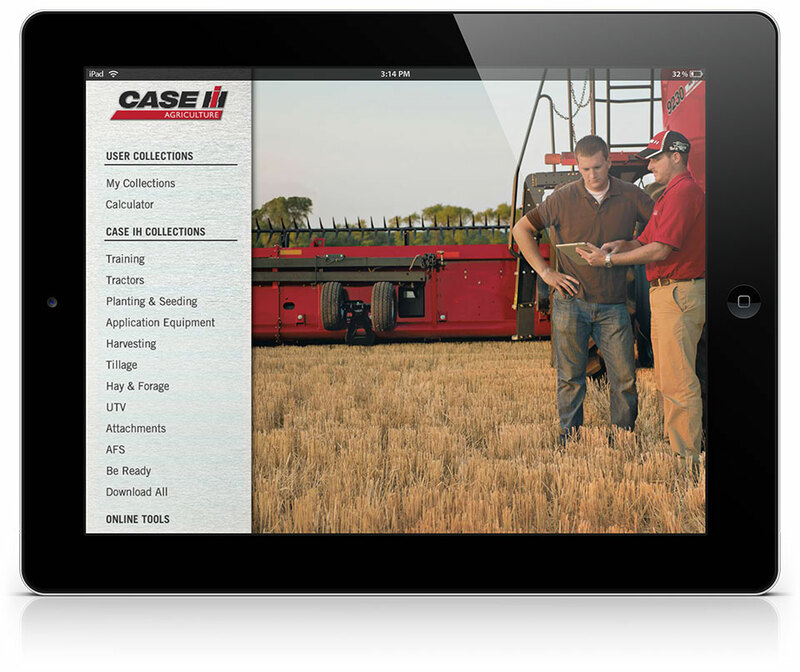 The Case IH sales team needed a digital tool to demonstrate products to customers when equipment wasn’t physically available. In addition to providing specs, there was a desire to show images, play videos and house product literature. 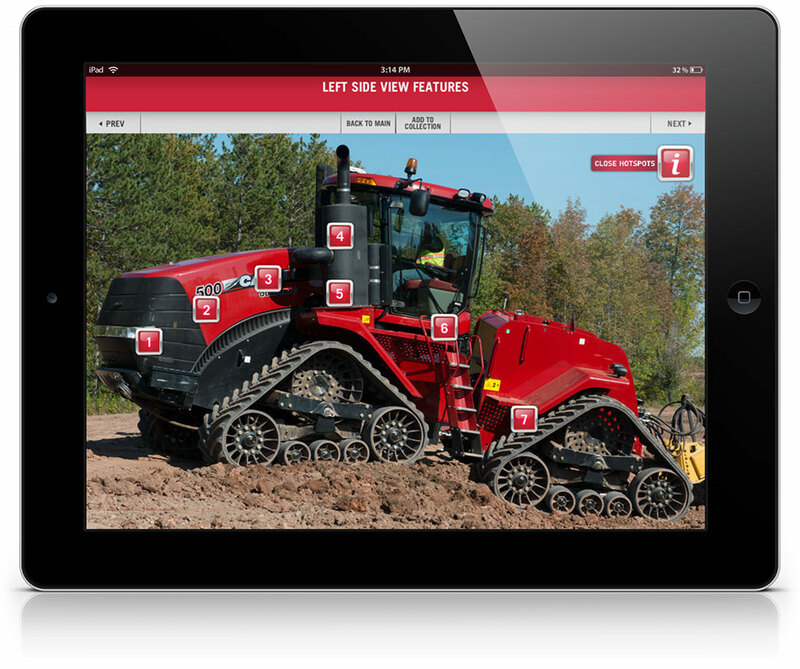 The app needed to be fully operational offline with access to all content in remote agricultural locations. With access to support, this tool would also serve as an integral resource for sales force training. 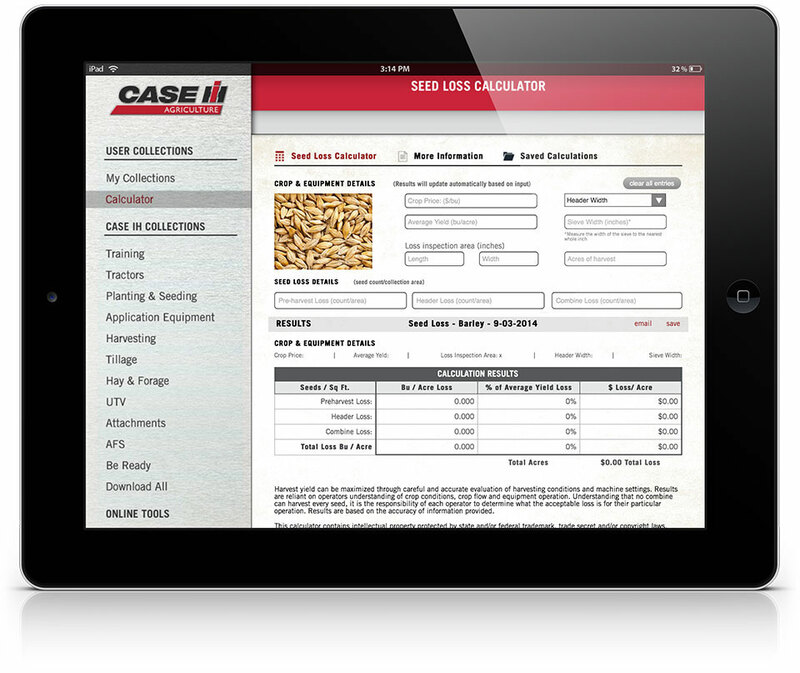 A retail sales application was developed to provide a complete overview of Case IH products. 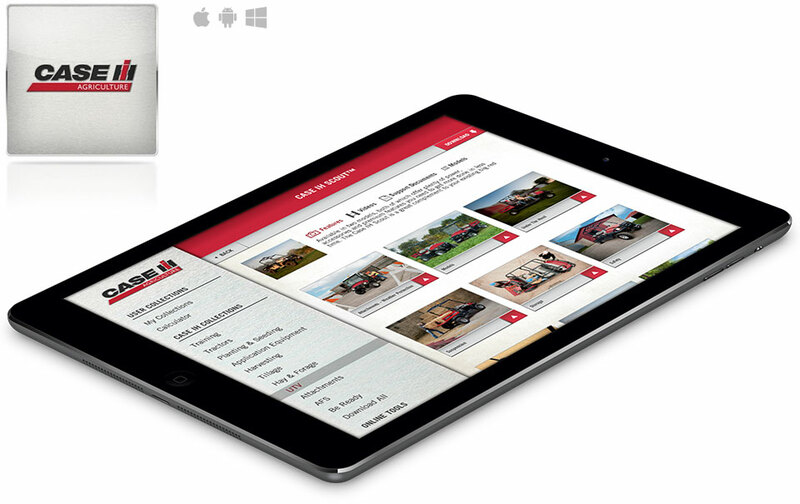 Content, features, videos and support documents are assembled in easy to access “collections.” Using the My Collections feature, personalized customer presentations can easily be created. “Hotspots” on product images can be selected to provide additional information on key selling points. 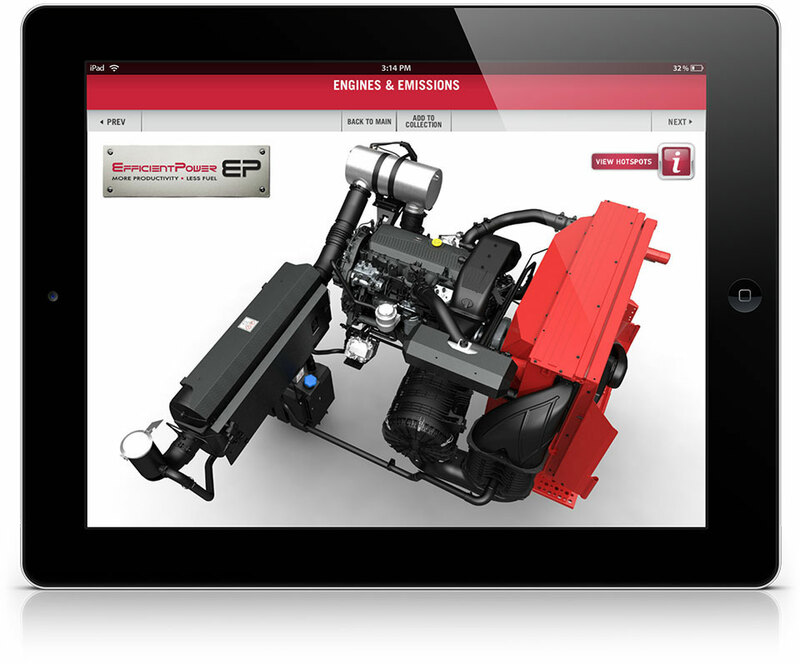 The app is currently available for iPad, Android Tablets, Windows 8 Pro tablets and desktop devices. Facebook |Twitter |YouTube |Linkedin © Equity Creative.